The job market is becoming increasingly competitive, so job seekers do not want to waste their time applying for positions that are not going to bring them results. 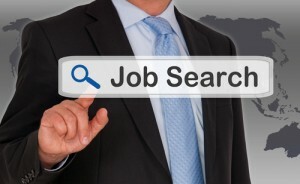 The top things that one should be clear about before looking for a job are – what kind of job you’re looking for, and where to look for such openings. Applying for jobs without the right qualifications will only reduce your chances of being selected for the coveted job. Making too many mistakes will hurt your entry level job search. In the following post, learn seven reasons why employment can be more difficult to obtain. Whether you are returning to the workforce after having children or otherwise, you may discover some changes. If you’re searching for an entry level job, the following post has some information you should know. Young Professionals, Do You Want to Be an Intrapreneur on Your Entry Level Job? So, you may not quite be ready to start your own business, but that doesn’t mean you can’t bring your passion into an entry level job and help your company succeed. In the following post, learn why becoming an intrapreneur may be a good option for you. For young professionals, it may be a challenge to stay on those recent graduate jobs for the long-term, but it can be beneficial if they do. The following post explains why they shouldn’t quit their new positions just yet.